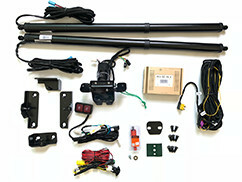 What is electric tail gate lift system? Electric tailgate lift assisting system opens and closes your tailgate by simply pressing a button. This smart aftermarket lift gate provides additional security and value to your vehicle. Installation is designed for the do-it-yourself and comes with various brackets depending on your car. Electrical hookup has never been easier, with a easy to install switch and a Plug and Play Harness. This reliable system will perform a hydraulic system without all the complicated plumbing and upkeep. 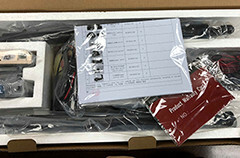 The kit includes Control Module, Plug and Play Harness along with mounting brackets and hardware plus easy to understand instructions. When standing with the proximity smart key for more than three seconds within a metre of the rear of the vehicle, the Smart foot senses your presence and automatically opens to allow you to store your cargo, hands free. The Smart foot also opens and closes at the press of a button from the driver's seat or outside of the car. 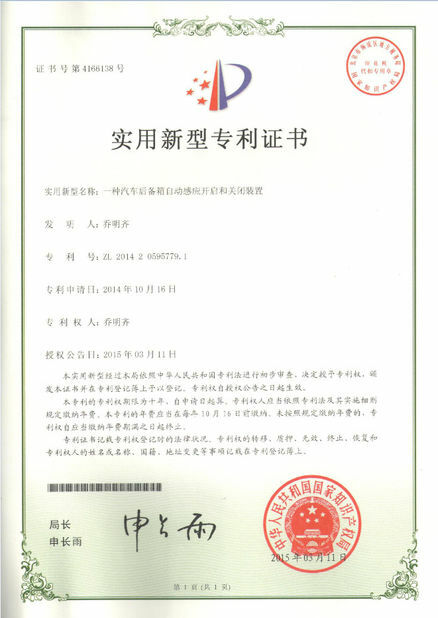 To serve for the purpose of business philosophy, customer orientation, diversification, wide range of services for the automotive accessories industry sincere cooperation, create brilliant. 1. 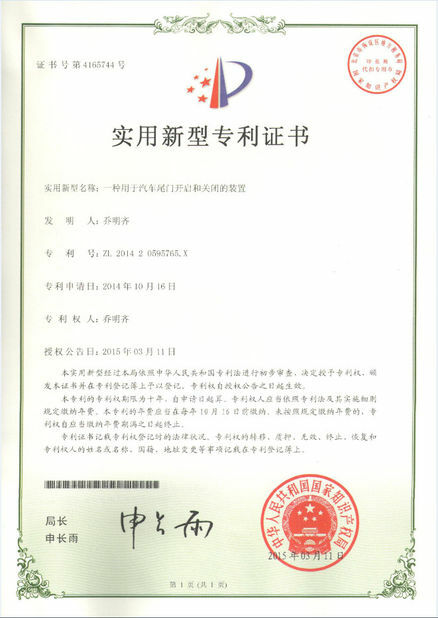 To ensure safety and normal usage of our products, please let the professional staff to stall; To avoid damaging the machine or causing accidents, please do not dismantle the products. 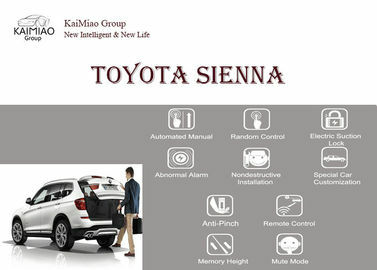 2.To start the engine before installation, check the car dashboard display function, whether the buttons operate normally, whether there is any scratches on car interior and surface. 3.Check whether the tailgate can normally open or close or not, check if there is any problem with the lights. 4.Turn off the engine, preparing tools. 5.For installation personnel: Please remove metal objects and any other hard objects to prevent car damage during the installation process. 6.Remove automotive components and place them carefully to avoid scratching the dashboard; wiring debris need to be tidied up in time, do not leave them in the car; Joints must be well insulated to prevent short circuits. 7.According to our wiring way, to avoid affect the car moving parts, such as steering column, the accelerator and brake pedals, etc., each harness should fixed after wiring , to avoid getting loose. 9.Do not change the wires or accessories with the power on. Q: Could you print our logo on the package? A: Sure. Generally, our package is uniform. 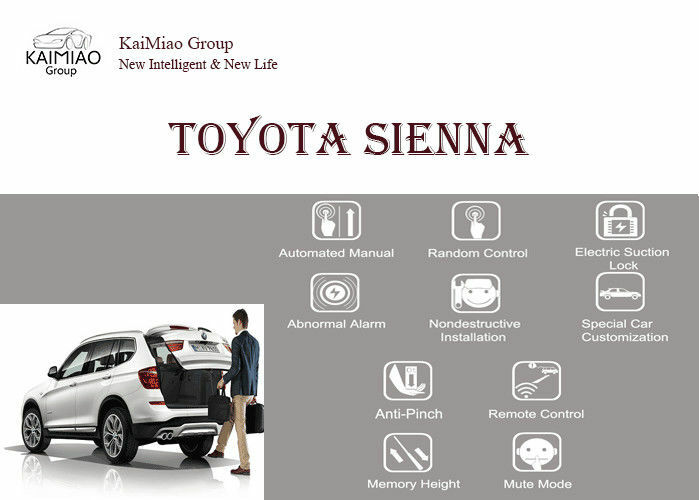 If the customer has demands, we can customize according to customer's demands. Q: How are you packing? Q: How long to delivery? A. If in stock, it will ship out after 7-10 days; If out of stock, it will take about 10-15 days.